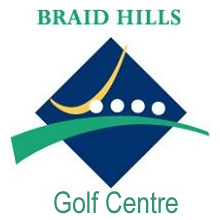 This website is owned by Midlothian County Ladies Golf Association whose contact details are on the website. We are continually improving our methods of communication and adding new functionality and features to this website and to our existing services. Because of these ongoing changes, changes in the law and the changing nature of technology, our data protection practices will change from time to time. When our data practices change, we will notify you. We encourage you to check this page frequently. You may choose to receive information or services from us. When you contact us, we request personal information about you such as your name, postal address, email address and telephone number. The information you provide is securely electronically stored. We hope you will be pleased with our information and services. However, if you no longer wish to receive the MCLGA Newsletter sent by email, please select the unsubscribe link in the MCLGA Newsletter email. This Website is provided by Clubwebsolutions, using WordPress as the website Content Management System, on behalf of MCLGA. MCLGA uses this website to provide online information and services, competition management and CONGU ratified handicap maintenance, for members of MCLGA. Access to any Members area of this website is via MCLGA Membership ID and a User managed PIN number and is limited to MCLGA Members and selected MCLGA officials who need access for the purpose of supplying and maintaining information relative to the primary functions of the website, as stated above. Users of the website are able to specify additional personal details by accessing the ‘Preferences’ area under the ‘Members’ menu option. MCLGA will transfer from its own membership system only those personal details relevant to MCLGA membership such that a MCLGA Member may utilise this website effectively. Communication between MCLGA Members and Committee Members to promote accessibility and enable the effective and smooth running of the MCLGA. Contact information may be passed to MCLGA membership system to maintain up to date contact information. Users are advised that if they wish to deny the use and saving of cookies from this website on to their computer hard drive, they should take necessary steps within their web browsers security settings to block all cookies from this website or use the cookie control system if available upon their first visit. We adopt a Social Media Policy to ensure our organisation and our members conduct themselves accordingly online. While we may have official profiles on social media platforms users are advised to verify authenticity of such profiles before engaging with, or sharing information with such profiles. We will never ask for user passwords or personal details on social media platforms. Users are advised to conduct themselves appropriately when engaging with us on social media.